My weekend was AMAZING. USU had Fall Break on Friday. We were supposed to go to our Friday classes on Thursday, and as luck would have it, I don't have classes on Friday so I got both days off! 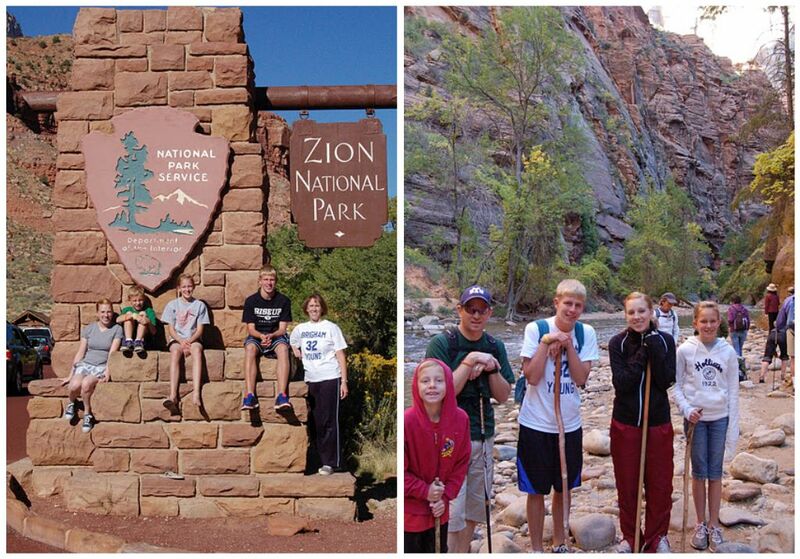 My mom had been planning a trip to Zion's since the kiddos had UEA the same days and I decided to join them. We missed Lex, but we had a good time. I'm so glad I could go; it was sooo nice to get away from the stresses and pressures of school! Here are some pictures. Most are stolen from my mother, I'm not a photographer. Left - Mom had to get a picture by the entrance sign. Right - Getting ready to hike the Narrows. Yeah.. I wimped out after ten minutes. In my defense, the water was FREEZING and my feet were dying. But my mom and Jare toughed it out for almost 2 hrs. 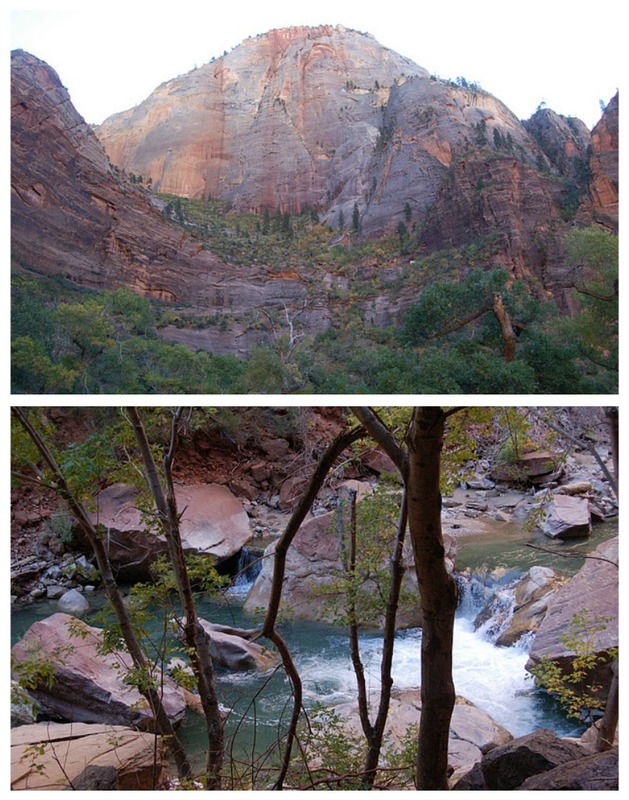 Top- yeah, I hiked up that mountain (to Observation Point - an 8 mile hike round trip!) Bottom - Temple of Sinawava trail. 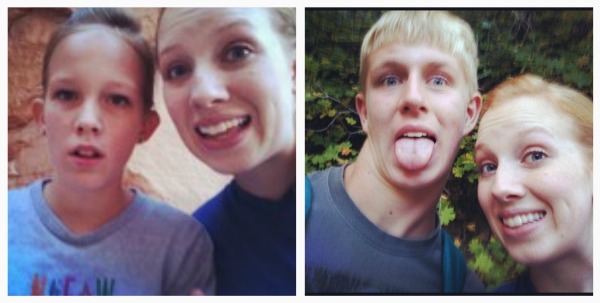 Just us siblings bein ourselves. 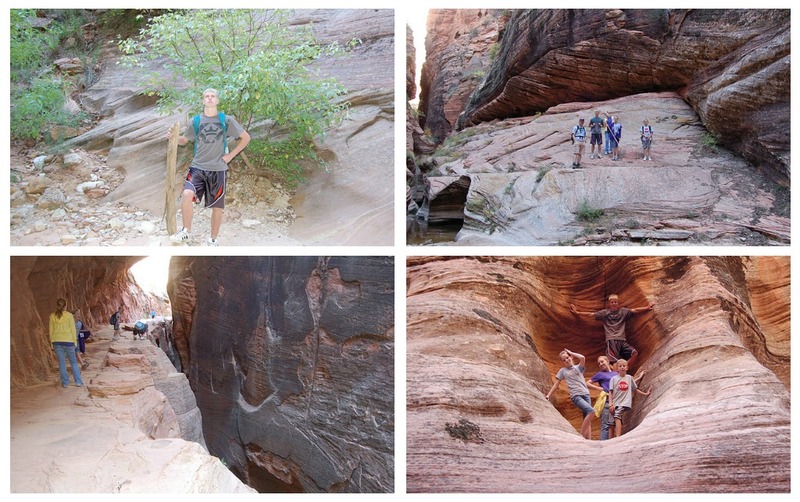 Bottom left- this AWESOME slot canyon we hiked through. We loved shouting and clapping to hear the echo. And I sneezed. The echo was fab. 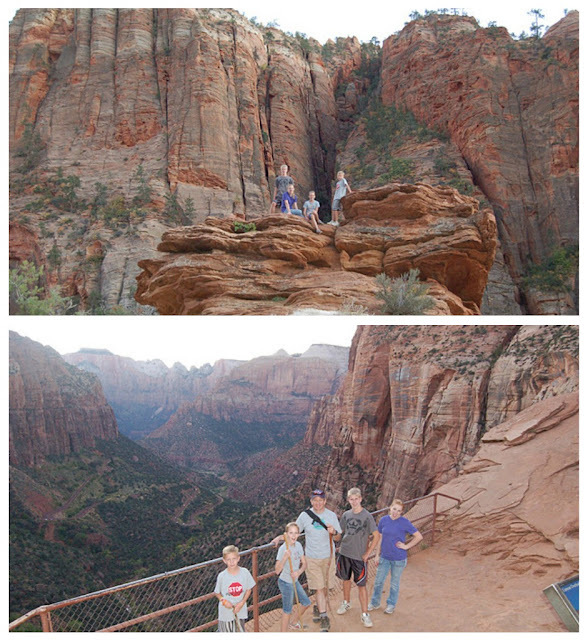 Top - us being adventurers; Bottom- At the canyon overlook trail. These two were taken with the iPhone. Left - me: "Breanna, look!" her: "Look at what...? The apple? I don't get it!" Right- Jare bein himself... and me. 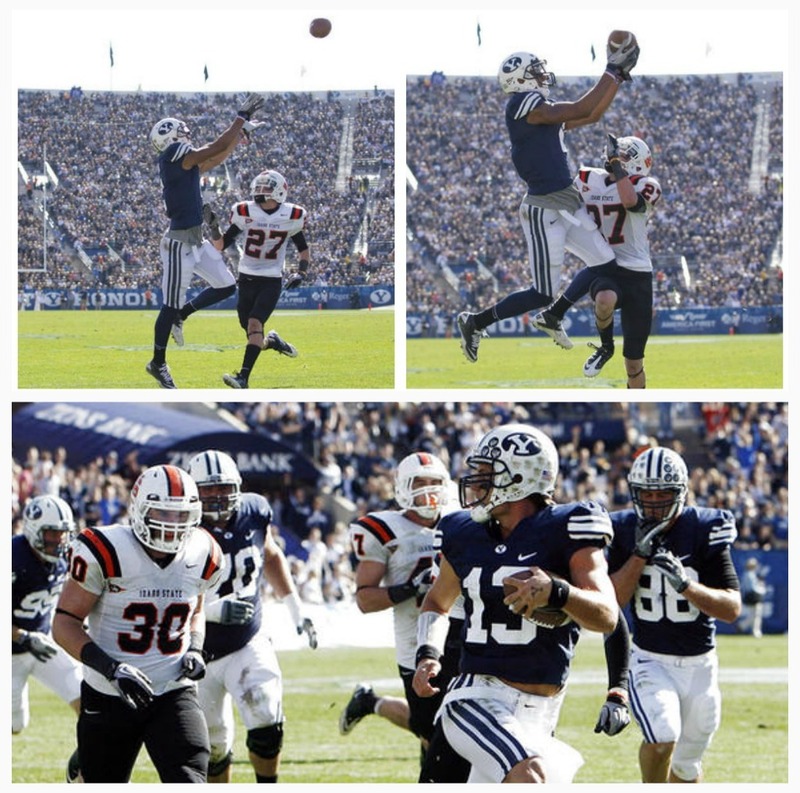 And, of course, what would a Fall weekend be without some BYU football? I got to go to Provo with my dad to watch the Cougs CREAM the Bengals. Let's be honest, we all knew it was inevitable, but it's been a while since I've been to an almost (if only they hadn't gotten that one field goal) shut-out. It was a blast, but SO hot. I swear it felt like summer. I was sweating buckets, my dad and I both got sunburned, and it was quite the adventure. There was also this cute lil girl sitting behind us who really wanted to sit on my lap after I told her that her BYU cheerleader outfit was cute. We were BFF's. 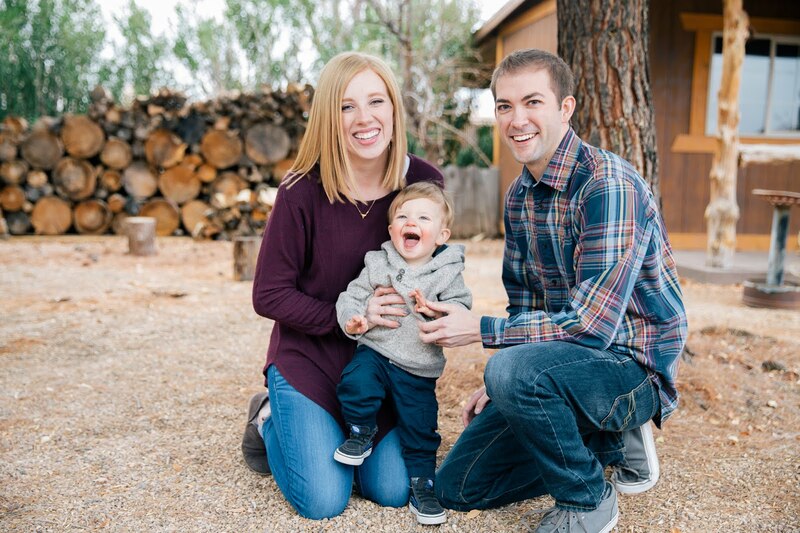 Photos, as usual, from deseret news. But, alas. Time to get back to real life. Man, I'm jealous! Sounds like a great weekend! Miss you girl. A Story for Your Sunday.